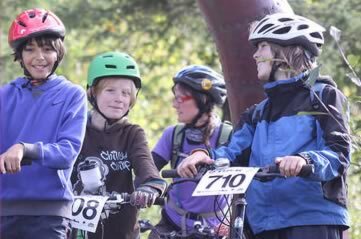 Back again for another year as part of the Coed y Brenin Enduro weekend, our popular Nippers n’ Rippers kids enduro for the under 16s. The event is entirely free to enter with a reward for all those who complete their chosen course. There are 5km, 10km and 15km route options that progress in difficulty with distance. All entrants must ride with an adult parent or guardian. You will need a helmet and mountain bike in good working order. We’ve made a little change to the publicised opening times to accommodate a few more riders. The event sign on will open at 8.30 am and close at 11.15am. You will need to sign on and be issued a rider number to be part of the event. The course start will open at 9am and remain open until 11.30am, you can start at any point during this time. 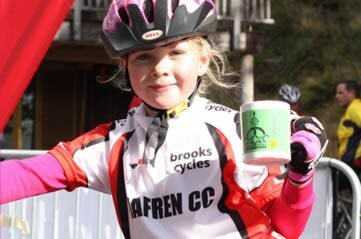 The event is a non competitive off road cycle challenge for under 16s. The 5km is entirely on blue grade trail, the 10km is a mix of blue and easier red graded trail, the 15km is a mix of blue and red with some more challenging red grade sections. Full course details will be published at sign on. If you have any questions about suitability then staff at sign on will be happy to help.